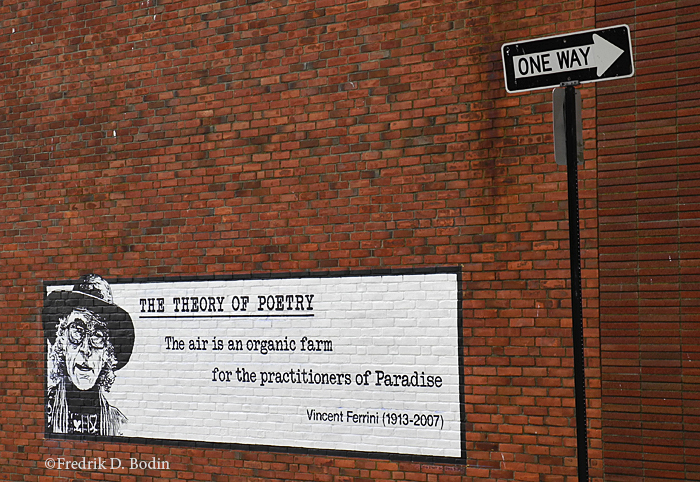 The official unveiling of this mural takes place in my gallery today (11/8/14) from 2pm until 4pm. 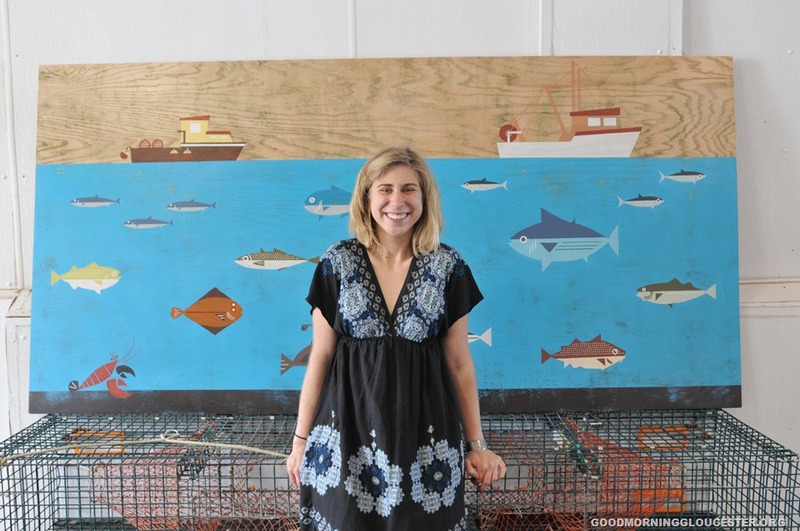 seArts will host an opening honoring Gloucester artist Tricia O’Neill’s mural, and also honoring the subject, the late famed Gloucester writer Vincent Ferrini. It is painted on the side of Palazola’s sporting goods, facing Porter Street. The public is invited. 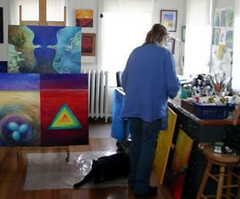 The gallery is at 82 Main Street, Gloucester. 978-283-2524 or info@BodinHistoricPhoto.com for information. Light snacks and refreshments will be served. 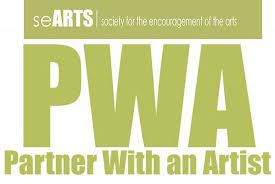 Partner With an Artist (PWA), seARTS signature artist grant program, provides grants to artists to create new work — in any medium: visual, performing, multimedia art — in partnership with local businesses. 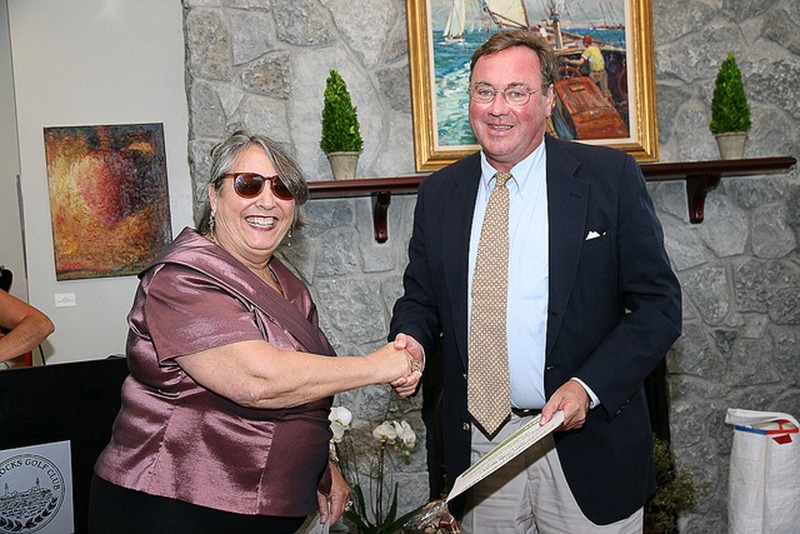 PWA’s focus is to celebrate the arts, strengthen partnerships with the business community, and to promote a vibrant and culturally rich economy on Cape Ann. 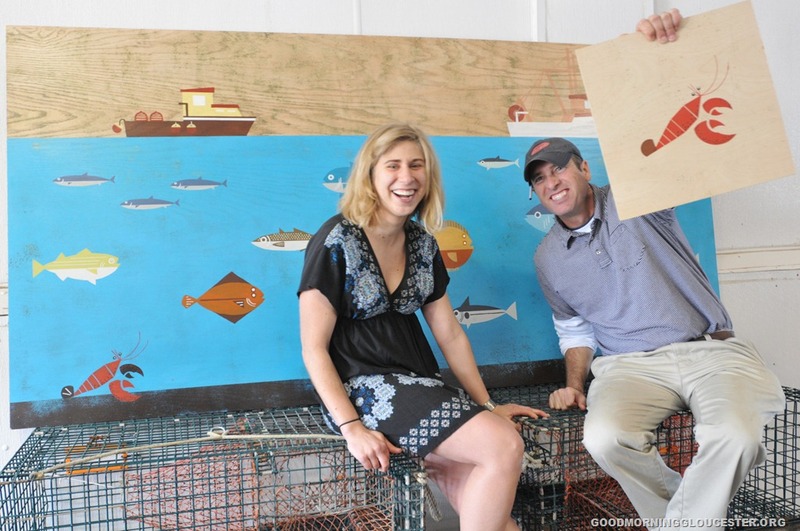 The 2014 PWA program will connect with three of Cape Ann’s Cultural Districts: Essex River, Harbortown and Rocky Neck. 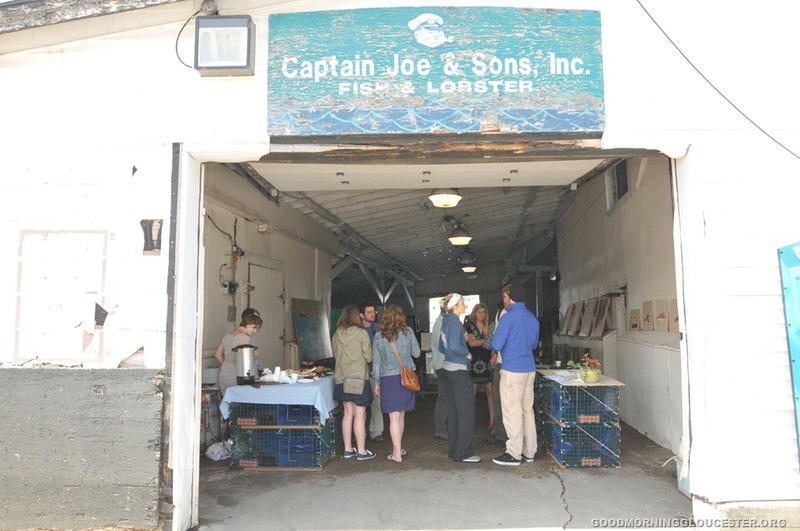 Jurors will award three $1,500 grants, totaling $4,500, to artists who collaborate with a business in a Cape Ann Cultural District. One artist or project in each of three Cultural Districts will receive a grant. Each completed project will be presented in its Cultural District for the public to experience and enjoy. Partnership with a business: This is an opportunity for artists and businesses to explore a creative relationship. We seek to fund innovative projects where artists and businesses work together to explore new opportunities only made possible by collaborating. A business might provide goods, services, or space for a project. 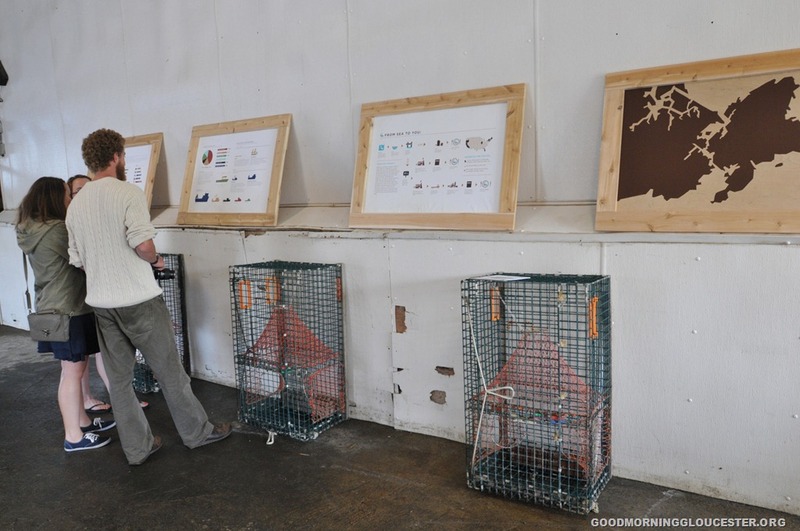 Creating opportunities for artists: PWA supports artists and encourages creative new work that connects to the local community and that will attract residents and visitors to explore and enjoy the Cultural District. 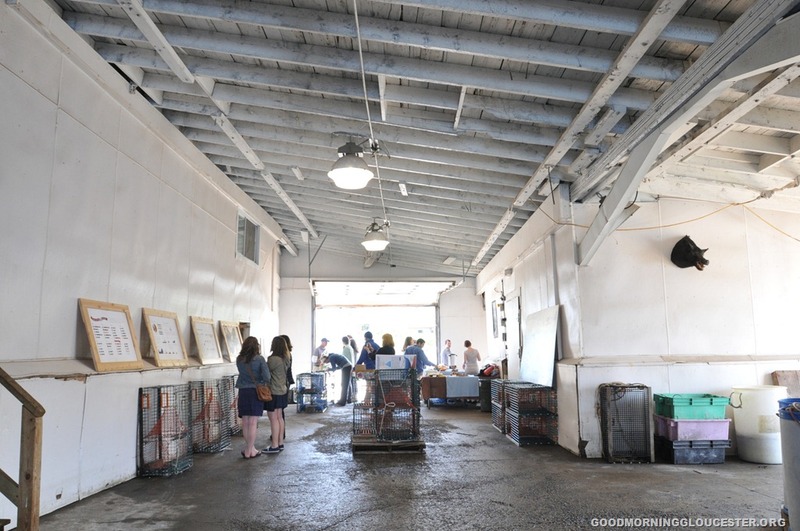 Grants: One $1,500 grant will be awarded to one artist in partnership with a business located in each of these three Cultural Districts: Rocky Neck, Harbortown and Essex Cultural Districts. Please note: Projects in the Rockport Cultural District are not eligible. 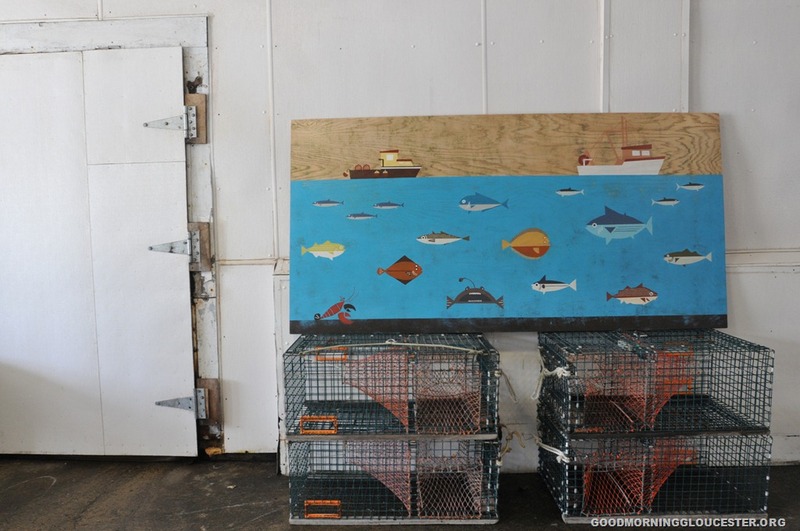 A grant was awarded in the Rockport Cultural District in 2012. Completed projects will be presented in their Cultural Districts. If you are a current member of seARTS, there is no fee to apply for this program. To join or renew your membership please visit www.searts.org/wp/joinsupport/. If you wish to apply, but not join seARTS, there is a $25 application fee. 1. Cover sheet with contact information: name, street address, email, phone number(s), and names of all artists and business partners involved in the project. 3. $25 application fee for non-member applicants. 5. Budget including in-kind donations. Visual Art: 10-20 images numbered and titled on CD-ROM readable on Macintosh. Jpeg files at 300dpi, approximately 4” x 5”. Media, Performance or Sound Art: 5 minutes on DVD or CD, with numbered media list that corresponds to work samples. DEADLINE: All applications must by received no later than June 6. 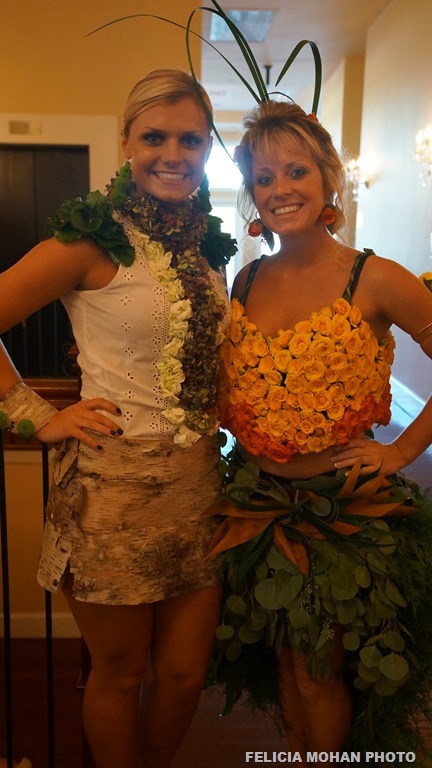 Celebrate Wearable Art II! Click here for tickets. 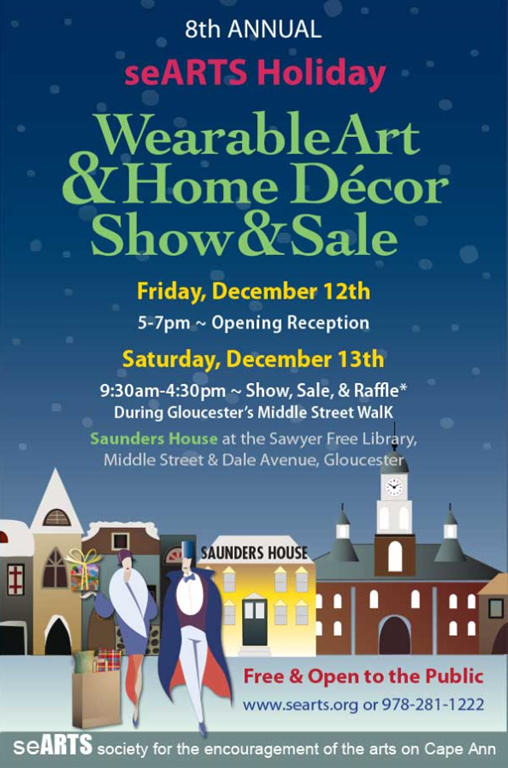 Runway show of Art & Fashion, Exhibit & Sale featuring hand-made jewelry, clothing & accessories a benefit for seARTS society for the encouragement of the arts on Cape Ann. 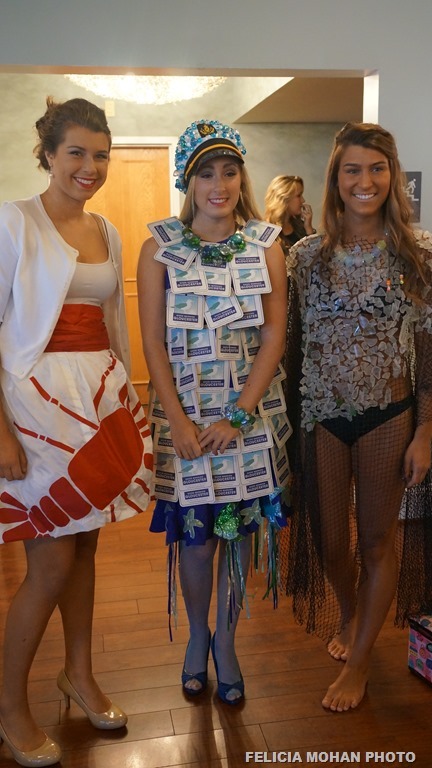 The seARTS Wearable Art Runway show committee has been working hard to bring you an amazing event. Here are a few important announcements about what you will experience on September 29th! Most importantly, book your ticket now if you haven’t! Tables are filling fast! Posted on May 27, 2013 May 23, 2013 by E.J. A great exhibit at a beautiful venue. Hope to see you there. I have a photo montage piece on exhibit. RSVP at 978-281-1222 or email info@searts.org. Well Lookey Here- Our EJ Is seARTS Artist of The Week! 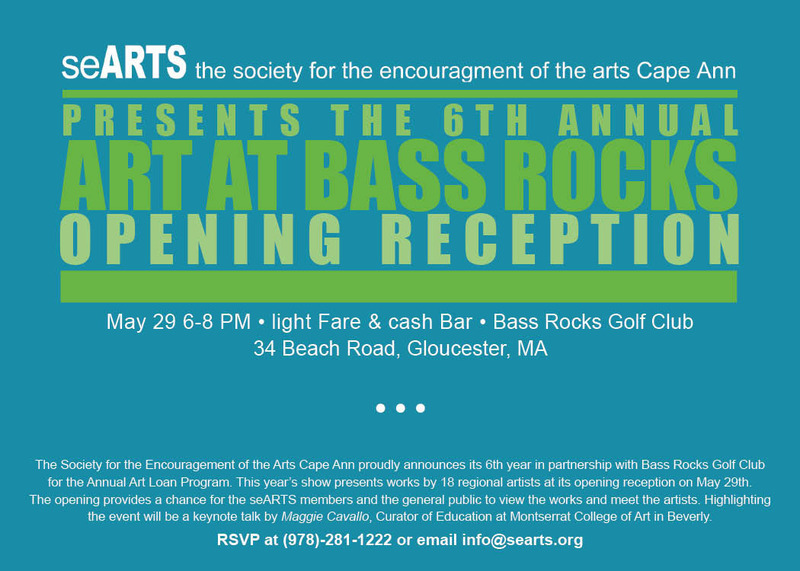 How do you feel about being chosen for the Bass Rocks Art Loan Program? Very excited. This opportunity is allowing me to exhibit my work in a venue and to a segment of our population that I may not have been able to reach otherwise (unless they are regulars to Rocky Neck). It is an honor to be in such great creative company, and I am grateful for the opportunity. 16" x 20". Click to enlarge. What is your medium or area of creativity? I am a painter, photographer, writer, illustrator. Most recently I have been working with the over abundance of wonderful photos I have taken over the past few years and incorporating them into unique, three dimentional photo montages, which people are really enjoying. I created about 50 of them over the winter, and the series is called "Gloucester: The Grit and the Glory", since most encompass images of rope, chains, rusted hulls of boats, nets and other images from the working seaport aspect of Gloucester, combined with the glory of that industry and of the natural beauty that surrounds us here, as well as the history. How long have you been an artist? I have been a working artist since 1991 after leaving the corporate world and making the decision to pursue my art full time. Where do you get your inspiration? Anywhere and everywhere around me. Other than the Bass Rocks Golf Club, where can we find your works? At my galler(ies) on Rocky Neck. Khan Studio and the Good Morning Gloucester Gallery at 77 Rocky Neck Ave., Gallery 3 from May 15 to October 15, and at my winter gallery, up the stairs at 1 Wonson Street (behind Sailor Stan’s) from October to April. What else would you like us to know? I passionately love Cape Ann, Rocky Neck where I now reside year round, Annisquam were I lived in the winter for three seasons, East Gloucester and the Backshore, Eastern Point, paddleboarding, Good Morning Gloucester and all the people associated with it, and all the wonderful people I meet and have met since moving here. I feel very blessed to be here. 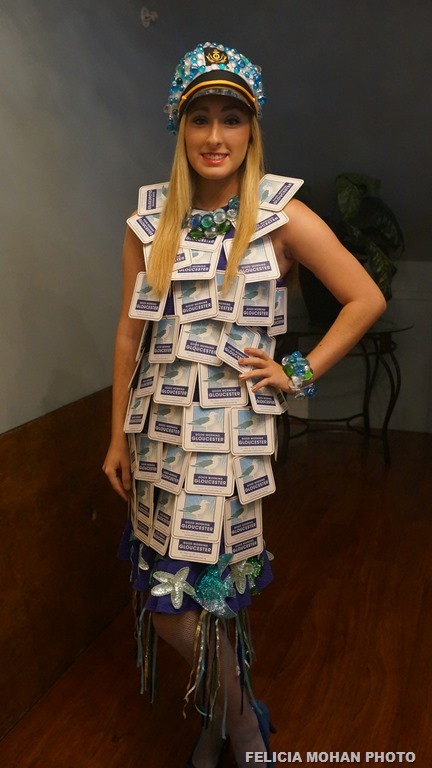 for this fall’s "Celebrate Wearable Art II!" runway show. Click here for an application. Deadline is now June 1, 2013. Click on the button below to vote for Gloucester as the Top Small City Arts Destination in The Country, and thank you for supporting Gloucester and it’s artists! Due to my miscalculation Kenny announces this as Gloucestercast 11 but it is Gloucestercast 12. Difference Between Cats and Dogs, seARTS Initaiative for Style Magazine’s Best Arts Community in the Country, Bikini & Speedo Dodgeball Tournament, Next Step Organization, Kenny’s State of Cape Ann Real Estate Segment, Playa del Carmen, Trying To Understand The Lack Of Internet Searching Ability. 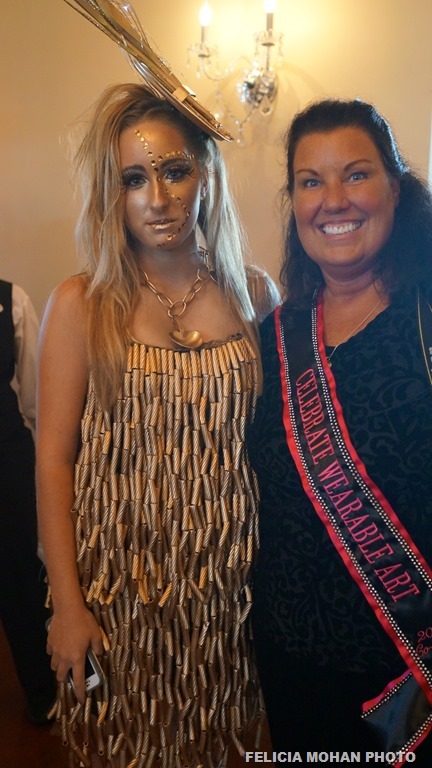 Viewer’s Choice Awards & Recognition Awards as Wearable Arts Group Marks 5th Year at "Celebrate Wearable Art! 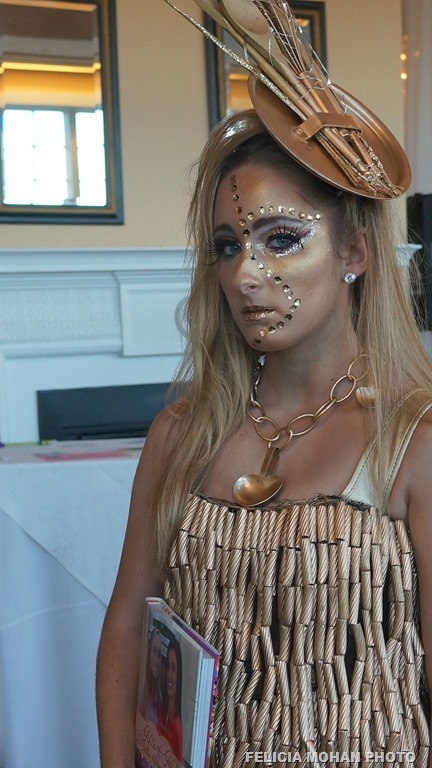 For the first time, seARTS honored seven Cape Ann artists and business owners who have contributed in unique ways to the growth of Wearable Art on Cape Ann. 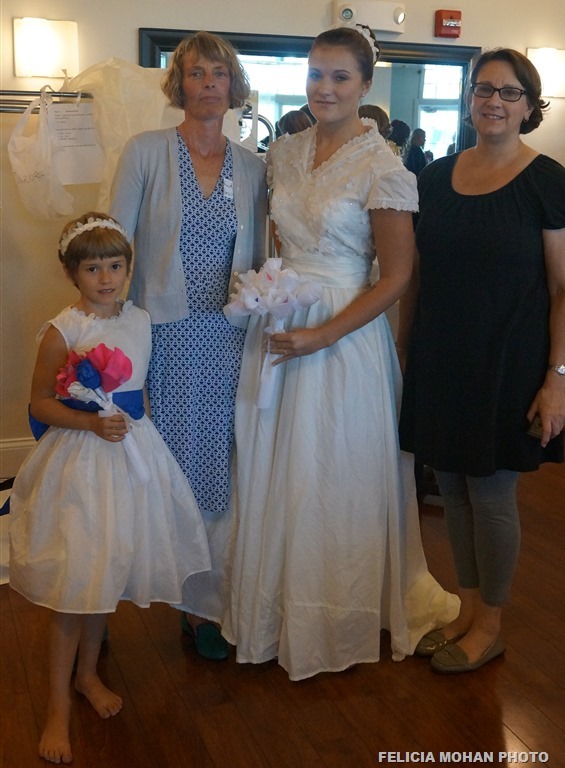 These Cape Ann residents were all honored at Sunday’s "Celebrate Wearable Art!" 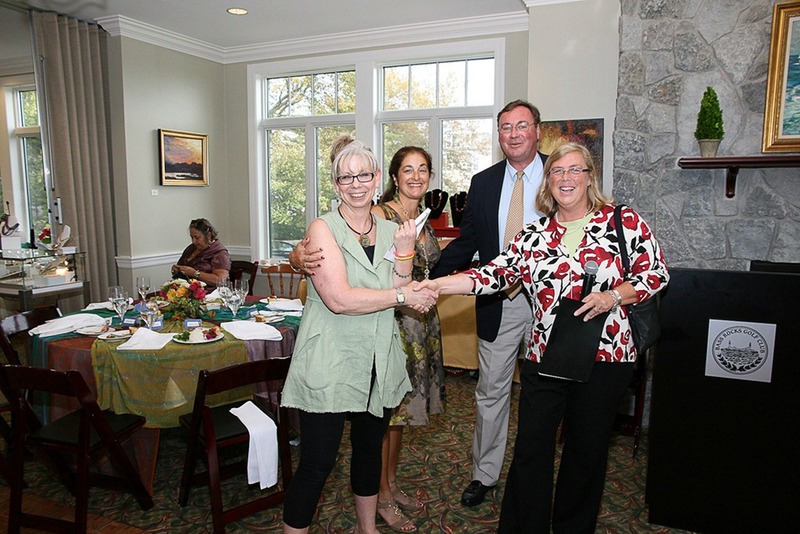 event held at Bass Rocks Golf Club. Mahri, Manchester. In recognition of 40 years in Business in downtown Manchester and for your dedication to craft, the business of art, and to the community. 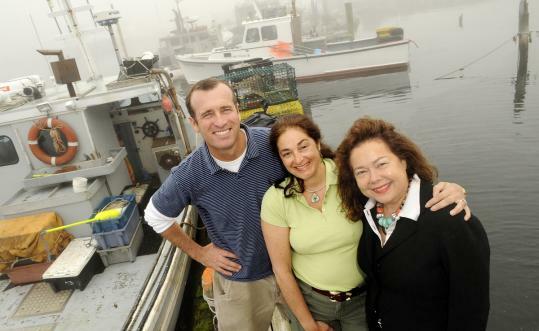 Kathie McCarthy, London Ventures, Rockport. In Recognition of 37 years in business in downtown Rockport and for your dedication to artists, the business of art, and to the community. 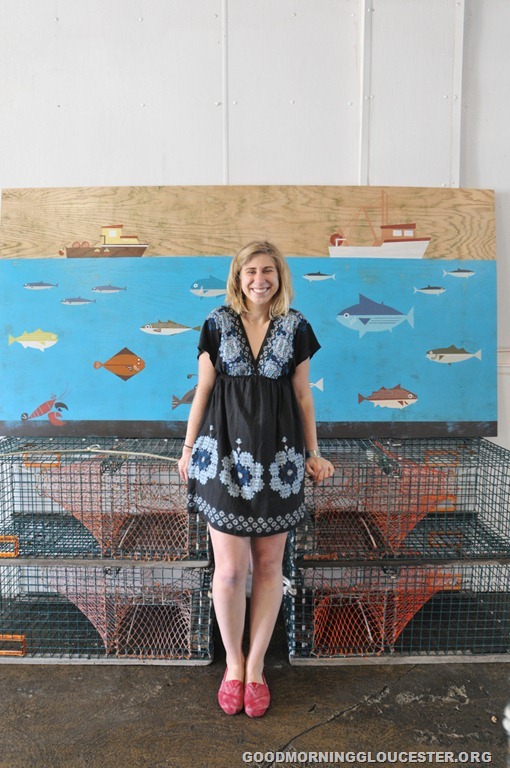 Beth Williams, Gloucester (20 years in business). In Recognition of 20 years in business in downtown Gloucester and for your dedication to craft, the business of art, and to the community. 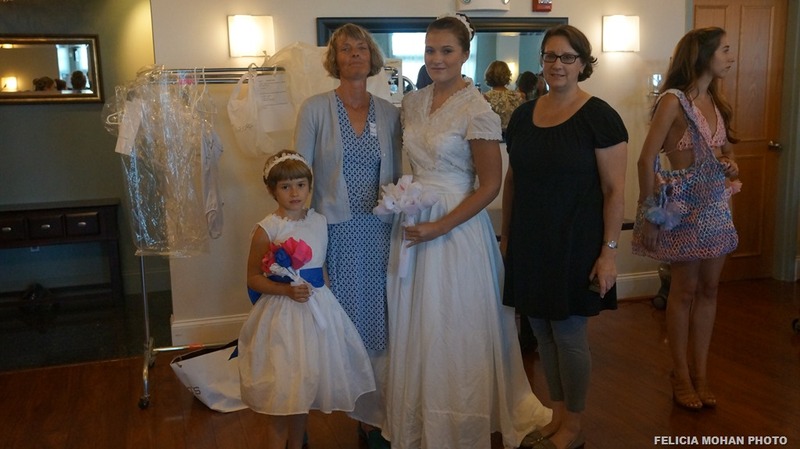 Most Creative Table (designed by exhibiting artists), sponsored by Cape Ann Savings Bank went to Beth Williams, Gloucester, whose table was completely adorned in glass. 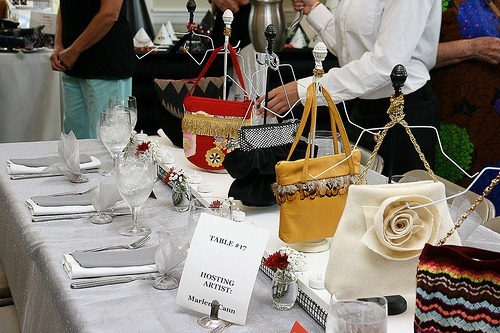 Honorary Mention in this category went to Marlene Cann, Manchester who created a runway on her table, with purses as the "models." 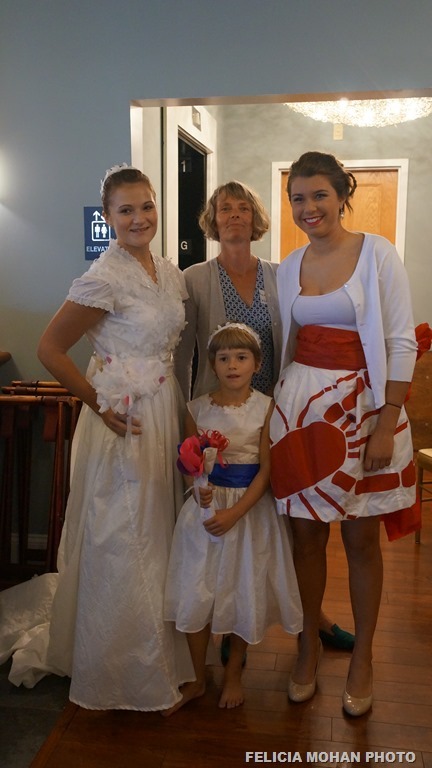 Favorite Fashion Designer Award, sponsored by Rockport National Bank went to Jennifer Greeke, (Gloucester) for her Harpy Fashion 2011 collection and Honorary Mention to Shayln Webber of Boston who presented the Lichen Collection. Favorite Runway Artist Presentation, sponsored by Eliason Law Office & Scanzani & Associates – went to Julia Dusman, NYC for three neckpieces from her collection, with Honorary Mention, sponsored by Tom & Maryann Kiely awarded to Beth Williams for her neck art piece called "Electric Murano." Click here for bios of selected recognition award winners. Click on Photo for Slide_show. 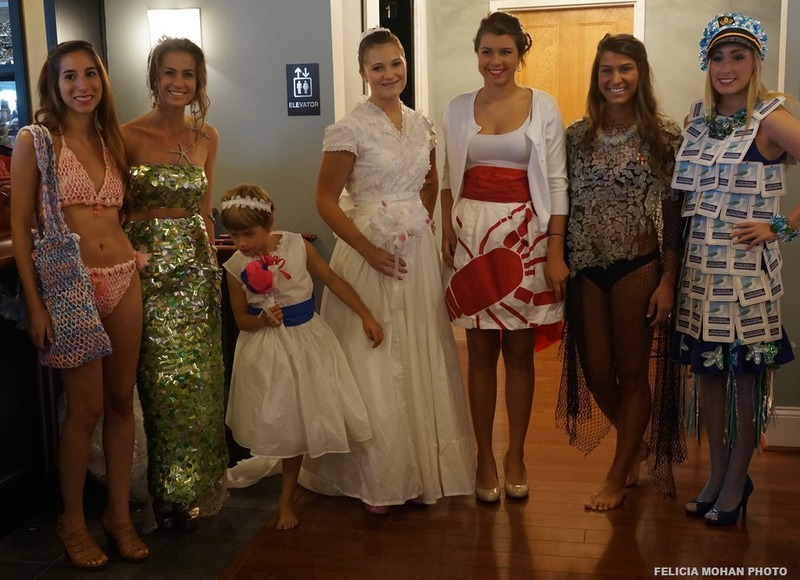 Yes that is a lobster for Miss Massachusetts. 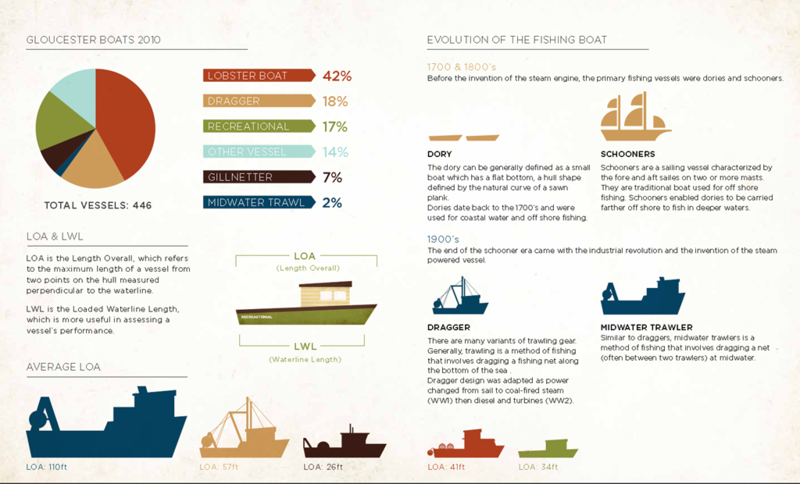 When most people visualize Gloucester, they imagine a fisherman casting his nets, or the white sands of Good Harbor Beach, or the excitement of spotting a whale as it rises from the ocean’s depths. 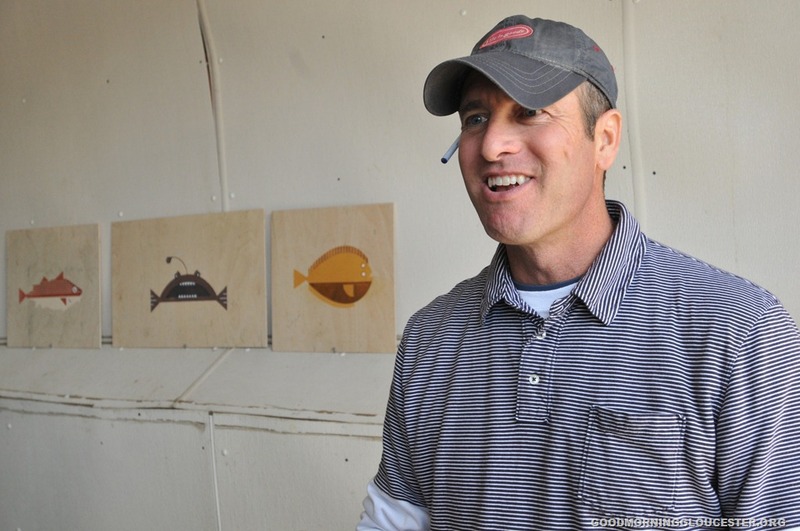 Now, thanks to many active artists and art organizations, Gloucester is on its way to reestablishing its reputation as a center for the arts. The city made the grade as a popular arts destination in an article appearing in the summer edition of AmericanStyle magazine. 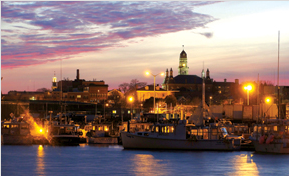 Gloucester was ranked third in the small-city category with other cities that had a population below 100,000. The top two spots were taken by Asheville, N.C., and Santa Fe, respectively. 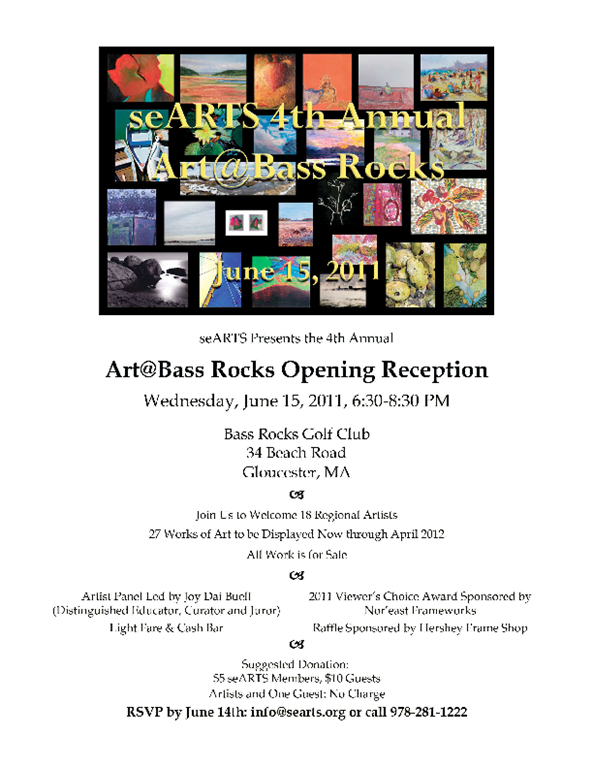 I attended the seARTs Art Show at the Bass Rocks Golf Club as your “Rookie Reporter” or “Guest Reporter” — not sure what to call myself. Anyway, the show was wonderful and included the works of over 25 local artists with their pieces displayed throughout the Bass Rock’s event room. There was also a great food spread, cash bar, panel discussion led by educator Joy Dai Buell, raffle and Viewer’s Choice Award. (more to come on who won award). One of the great things about the show was the pride and passion of the artists, and it showed in their faces and words. Speaking of faces, a few of the photos had sun-glare which sometimes worked out in a strange way. Look at the photo of Martha Wakefield; I think its the third one in the set. If you look into her painting you can see a reflection of her face. 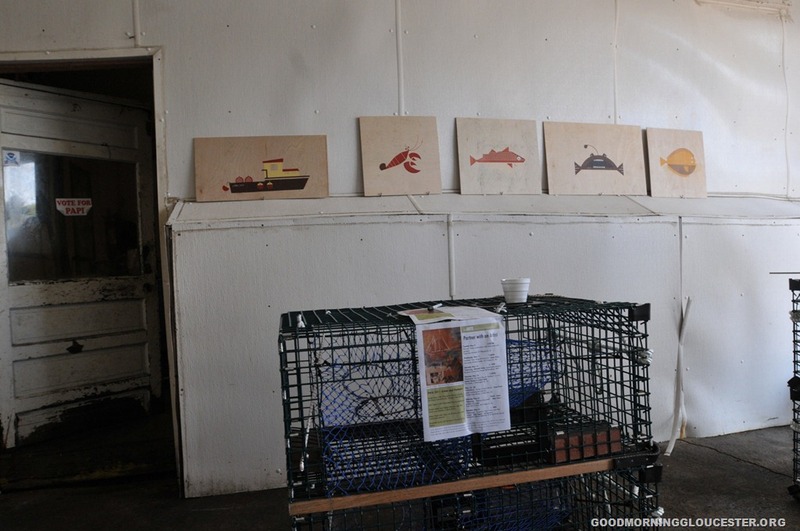 We partnered with Mark two years ago for his Faces of The Working Waterfront seARTS Partner with an Artist show here at our dock. It was nice to see him and his lovely wife Becky come out to show some love to Abby and us for her exhibit. we will be live blogging the event as well so come on down and get your mug on GMG!